“As a Mississippian and as a Baptist Christian, I cringed the other day when I heard that the First Baptist Church in Crystal Springs had moved a couple’s wedding ceremony to another venue, to keep a controversy from erupting in the church. The controversy was that the couple is black. My first thought was the scandal this brought to my state. But, more importantly, the issue is the gospel itself. That’s the problem, in my view. The only answer to the ongoing struggle between Jesus Christ and Jim Crow is a lose-lose situation. 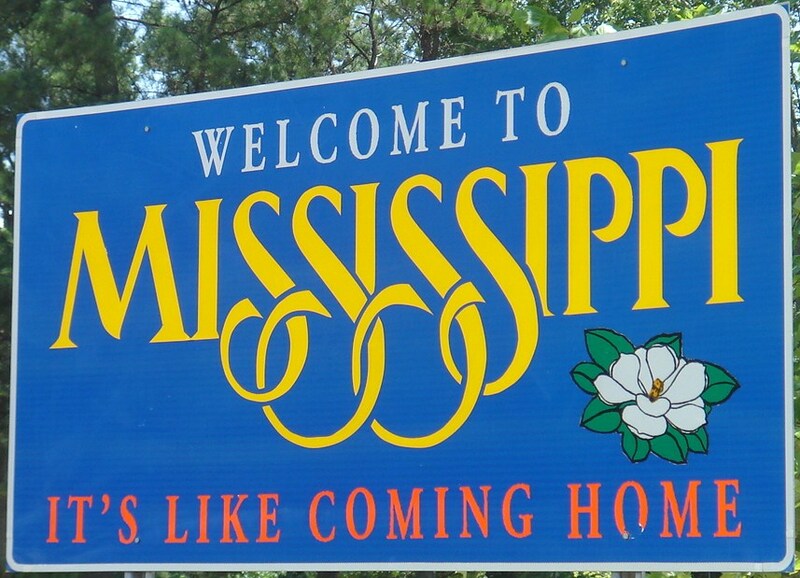 Back in the darkest days of the white backlash against the civil rights movement, author Walker Percy (who grew up in Greenville, Mississippi) asked what could be done to bring about peace in Mississippi. He answered that his first thought was to say the Christian ethic, but “the trouble is that Christendom of a sort has already won in Mississippi.” This kind of Christendom though, Percy argued, was a Stoic religion rather than a Christian one. Stoicism, after all, prized order and honor and stability and saving face. Christianity is quite different from all that. It’s not just about moral rules. It’s not about simply maintaining order. And it’s sure not about saving face. The reason the Greek world found Christianity so scandalous is because it tore down everything the world saw as prize-worthy, including one’s racial identity or supremacy. You must not only crucify your desires and your ambitions, Jesus said, you must crucify your entire life, and find a new one in him. That tends to upend things. And that’s what’s at stake here. I don’t doubt that this Mississippi pastor has, what they kindly call back home, “a pastor’s heart.” He doesn’t want to stir up division and pit people against one another. And there are many, many situations in which that’s precisely what’s called for. In this case, though, the division is the gospel itself. The early church thought they could put down controversy and solve division by keeping Jewish Christians and Gentile Christians in separate places. The Apostle Peter thought he could appease Jewish opposition by not eating with Gentiles. The Holy Spirit disagreed. As a matter of fact, the Apostle Paul said that the reconciliation of Jew and Gentile in one Body is precisely the sign of God’s manifold wisdom that the Father is presenting to the rulers and authorities over this present darkness. A church that prized carnal divisions over color of skin or cultural background is a church that isn’t finding its identity outside of the flesh and in a Jewish Messiah seated at the right hand of God. The church is made up of people who have lost everything. We are dead. We prize nothing about what we used to take such pride in, and we instead see ourselves as executed and raised in Christ. When we receive one another, and go around whatever obstacles the satanic order puts up, we’re confessing that what we have in common isn’t what we were born with, but what we were born again into: the Body of Christ by the Holy Spirit. So what’s to be done? It seems to me that the majority of the church is horrified by this. I think they can deal with it by doing exactly what the Apostle Paul did with Peter: to confront on the basis of the gospel, and to seek repentance and reconciliation. That’s what I think they should do, and will do. If not, the larger Body of Christ, particularly in the Southern Baptist Convention, should deal with this as an issue of defining importance for the gospel. But, again, I think this church will take a different stand. And they’ll have to do this without a win-win situation. They’ll have to do it with a lose-win situation. They will lose some face and some reputation by saying, “We’re sinners and we’re wrong, and we repent.” Isn’t that what every one of us must do every day, as repentant sinners? Mississippi Christians know, perhaps better than the rest of the country, just how satanic and violent racial supremacy can be. We have danced with the devil and we ought to recognize him when he returns. But that’s precisely why Mississippians ought to be the ones to lead the way in showing the church what biblical reconciliation and revival looks like.